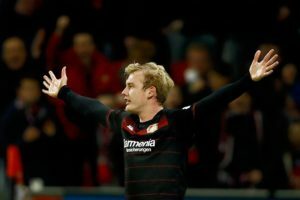 Bayer Leverkusen midfielder Julian Brandt is back on the wanted list of Liverpool ahead of the summer transfer window. Bayer Leverkusen look set to have a battle on their hands to keep Julian Brandt with Bayern Munich thought to be monitoring the player. Bayer Leverkusen say they have no intention of selling 19-year-old midfielder Kai Havertz in the summer. 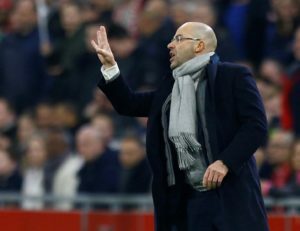 Bundesliga club Bayer Leverkusen have appointed former Borussia Dortmund and Ajax coach Peter Bosz as their new manager. 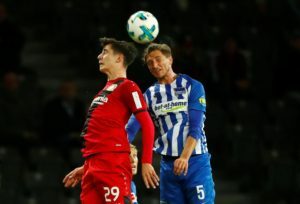 Bayer Leverkusen's Kai Havertz has thanked the German league for allowing him the chance to prove himself at such a young age. Sporting director Jonas Boldt accepts Leon Bailey will leave Bayer Leverkusen in the future - but it will not be in the January window. 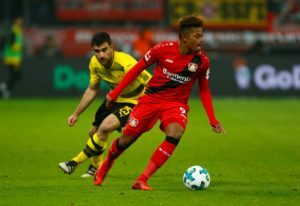 Shaka Hislop believes Leon Bailey should stay at Bayer Leverkusen and continue his development instead of leaving for Chelsea. 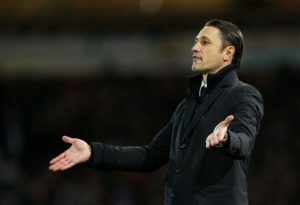 Bayern Munich boss Niko Kovac says he cannot understand the criticism of Bayer Leverkusen's Heiko Herrlich ahead of Saturday's game. 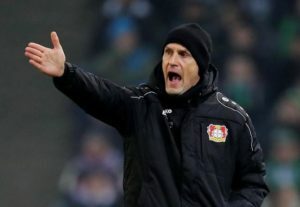 Bayer Leverkusen boss Heiko Herrlich says he can handle the criticism that has come his way after his side's poor start to the season. Bayer Leverkusen forward Leon Bailey is being linked with a move away again as Chelsea are reported to be lining up a swoop. Kai Havertz is hoping to emulate Bayer Leverkusen team-mate Julian Brandt by earning international recognition with Germany. 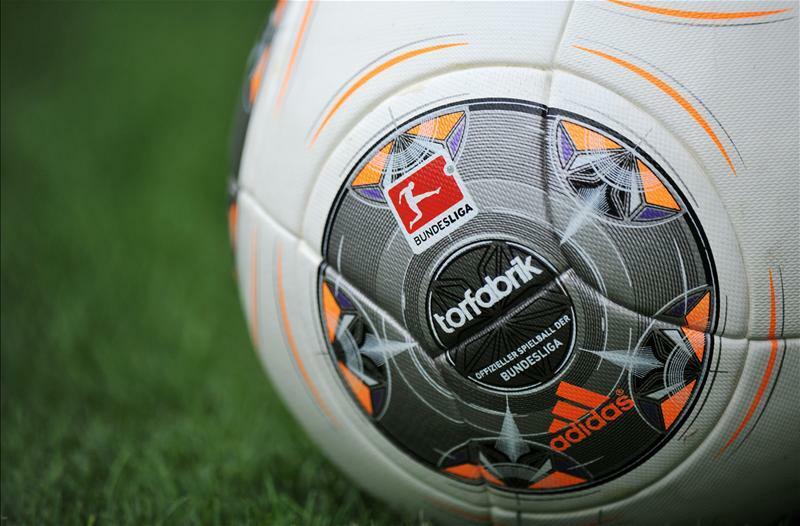 Bayer Leverkusen have announced winger Leon Bailey has extended his contract with the Bundesliga club by one year to 2023. Roma have reportedly made a 40million euros bid for Bayer Leverkusen midfielder Leon Bailey. Bayer Leverkusen winger Leon Bailey has confirmed 'Roma, Liverpool and Chelsea' are all interested in signing him this summer. 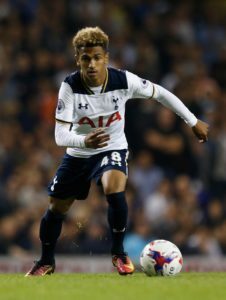 Bayer Leverkusen are understood to be tracking 19-year-old Tottenham midfielder Marcus Edwards. Bayer Leverkusen will reject any offers for their star player Leon Bailey in this transfer window, according to reports. 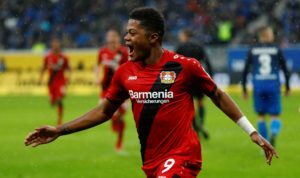 Bayer Leverkusen winger Leon Bailey has been linked with a move to Roma and his agent says he would consider a switch to Serie A.
Bayer Leverkusen star Julian Brandt has emerged as a target for Liverpool after the Reds missed out on Nabil Fekir. Liverpool are reportedly lining up a swoop for Bayer Leverkusen's Julian Brandt after failing in a bid to land Lyon's Nabil Fekir. 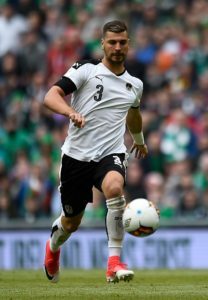 Bayer Leverkusen defender Aleksandar Dragovic is a wanted man, with a host of Premier League clubs chasing his signature. 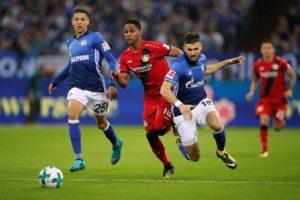 Bayer Leverkusen are bracing themselves for interest in left-back Wendell following reports Everton are keen to do a deal.